HGTV / MODEL- LIKE HOME Absolutely Gorgeous, Immaculate & Lightly Lived inWhy Wait to Build? 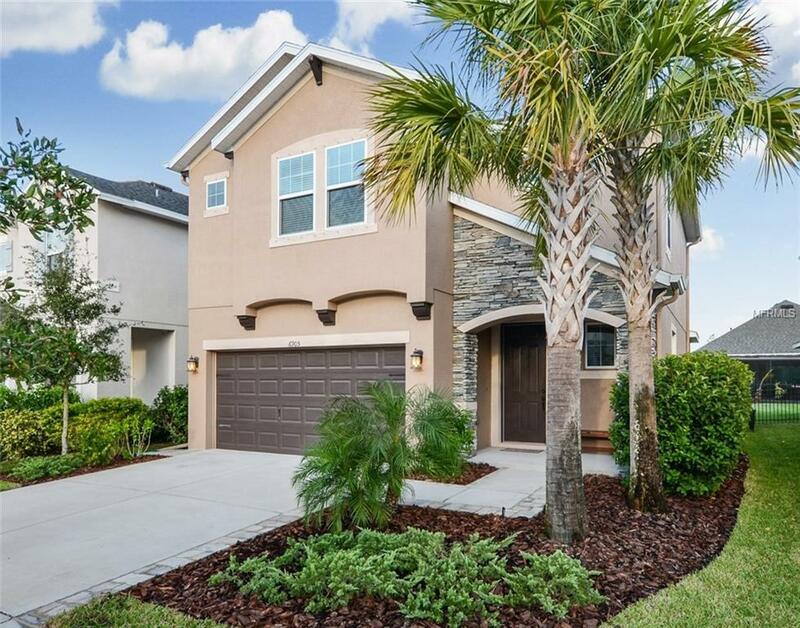 This 4 Bedroom home is Very Well Appointed with trending colors, upgrades and features. Peek inside and your eyes are drawn to the marvelous wood look tile floors. FALL in LOVE the Spectacular kitchen boasting gorgeous cabinets complete with Glass Inserts, Crown and lighting trim below, Stainless Appliances, Quartz Counters and Walk In Pantry. The dinette area offers built in seating with storage dressed with a handsome light fixture. Your Family room flows out to a covered patio and sprawling backyard! A wonderful space for Grillin and Chillin with friends and Family! Spacious upstairs bedrooms are complete with walk in closets and custom-built ins. A Dreamy Master Bedroom is spacious and inviting, master bath is well appointed with dual sinks and a walk-in shower. Bedrooms 2, 3 & 4 are very large and share a full bathroom, a convenient bath on the first floor for guests. Lush landscape includes Palm trees and tropical plants, the backyard is partially fenced-in. Enjoy World Class / Resort Style amenities in the Highly Desirable Waterset Community: Pools, Parks, Playgrounds, fitness center, splash pad, dog park, running trails and More! Conveniently located to I75 and alternate routes to Tampa, MacDill, Gulf Beaches, Shopping, Restaurants, St. Joes Hospitalclose to Anything & Everything! **Call Today and schedule Your Private Tour of this Fantastic Home!